The Adventist work was first organized in Kenya in 1921. Kenya is a part of the East-Central Africa Division and is divided into the East Kenya Union Conference, located in Nairobi, and the West Kenya Union Conference in Kisumu. Kenya has 5,045 Adventist churches and a total of 824,185 members. Steve is 12 years old. He lives in western Kenya. One day Steve and his family were walking along the river when they saw a man sitting in front of a little thatched hut. He looked young, but his shoulders drooped like an old man. They could tell he had been drinking. Steve learned that the man’s name was Kibogo [kee-BOH-go]. Steve visited Kibogo when he went for a walk along the river. Sometimes Kibogo was friendly; but when he had been drinking, his actions frightened Steve, who learned to be careful around the man. Mother and Steve found a shirt, trousers, shoes and socks for Kibogo in the marketplace. That evening Father and Steve walked along the river and found Kibogo sitting outside his thatched hut. “We brought you something,” Steve said, giving Kibogo the bag. “I hope they fit.” Kibogo opened the bag and pulled out the shirt and trousers. Steve and his father said goodbye and turned toward home. “How can we help him quit drinking?” Steve asked. Sometimes Steve took a plate of Mother’s home-cooked meals to Kibogo. He often found Kibogo listening to his portable radio outside his hut. One day when Steve and his father arrived, Kibogo was upset. He had heard a news report saying that several people who drank the locally brewed beer had died. “That’s all I drink!” Kibogo said. “I don’t want to die. What can I do? Can you help me stop drinking this stuff?” he begged, holding out the bottle. Steve invited Kibogo to come to church, and one day he agreed to go. He arrived at the church and was welcomed warmly. During testimony time, Kibogo stood and said, “I have been drinking for many years, but I want God to forgive me and take away the desire to drink.” The church members hugged Kibogo and welcomed him to their family. Steve and his parents sat with Kibogo to let him know that they were glad he was there. 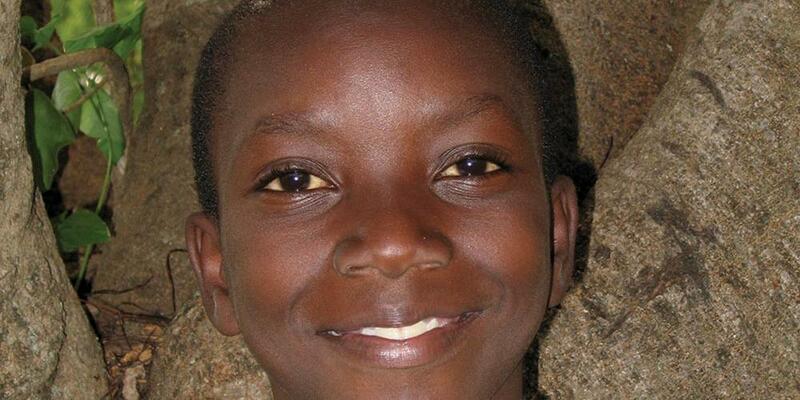 Kibogo started attending church every week. Steve was excited to see how God was changing Kibogo’s life. One Sabbath at church Kibogo stood and said, “I am done with drinking. I want to follow Jesus and be baptized.” People in the church said, “Praise God! Hallelujah! Amen!” Steve was so happy he couldn’t speak; so he smiled. On the day that Kibogo was baptized, Steve and his family were so happy! The pastor thanked them for being Kibogo’s friend and helping him find Jesus. Kibogo still lives in his small house. But now he works as a security guard and is saving his money for a new house. Today Kibogo is a very active church member. He tells others about Jesus, just as Steve told him about Jesus. Who can you tell about Jesus?